IDF introducing new uniforms that doesn’t wrinkle and even have a special pocket for mobile phones. 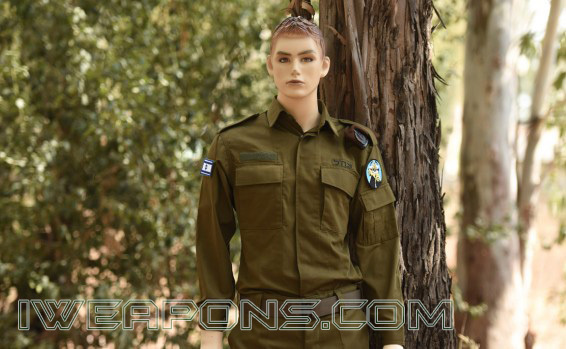 These uniforms will enter service during 2018, they including velcro for Israeli flag, soldier’s name and unit symbol. These new IDF work uniforms are especially made to be breathable, thin, non-wrinkling and tear resistant fabric. They look better than the conventional work uniforms, and will have patches (attached to shirt) with the flag of Israel, and soldiers’ informations as their name and symbol of their unit. These new uniforms will be introduced in 2018, they will be made with a very thin fabric that prevents tears, which combines reinforcing mesh made of polyester fibers. This fabric will have a non-wrinkle feature, and unlike today’s work uniform, the new uniforms can be worn without ironing. As mentioned, these new uniforms will have a flag, soldier’s name and unit symbol to allow easy identification. IDF officials explained that one of the new uniform’s pants pockets will be an inner pocket which can be used to store coins, cellphone or even mp3 player. The shirt’s left shoulder straps will have a security strip to prevent the beret or a cap from falling, and the shoulder straps will be wider, to add comfort when weared under combat vest. These new work uniforms will become personal, rather than divisional. They will be given to soldiers during their recruitment as individual uniforms. The Department of Technology and Economy of the Technology and Logistics Division explained that although the new uniforms are more expensive, because these uniforms are personal the budget will not increase significantly. These new work uniforms will be similar to the work uniforms of Home Front Command, that began to use similar uniforms several years ago. This entry was posted in IDF Armor and tagged IDF Gear.